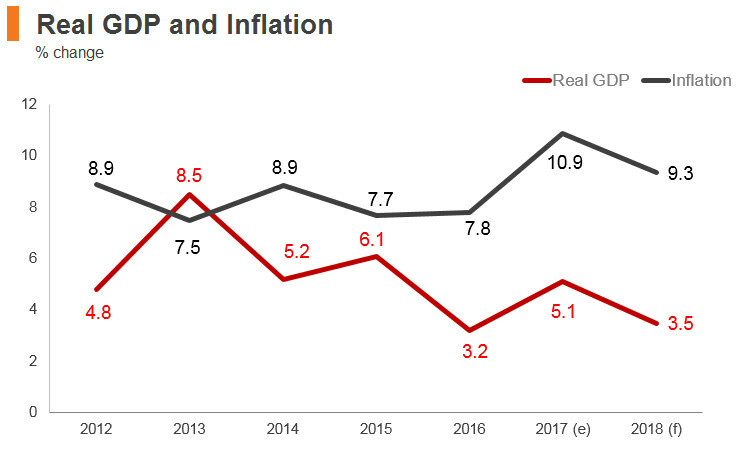 Turkey’s economic performance since 2000 has been robust. 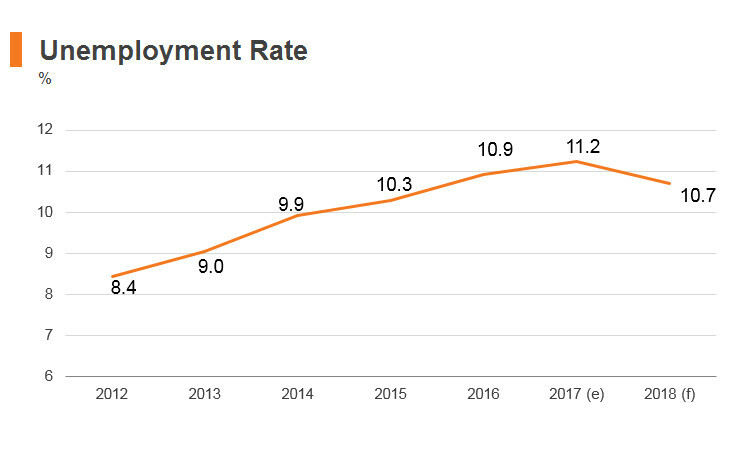 Macroeconomic and fiscal stability were at the heart of its performance, enabling increased employment and incomes and making Turkey an upper-middle-income country. Poverty incidence more than halved over 2002-15, and during this time, Turkey urbanised dramatically, opened to foreign trade and finance, harmonised many laws and regulations with European Union (EU) standards, and greatly expanded access to public services. It also recovered well from the global crisis of 2008/09. Nevertheless, Turkey faces challenges to moving into high-income status as the country is being tested by an uncertain outlook. Most notably, new momentum is needed to improve the quality of education and boost productivity through greater innovation. Looking ahead, the government will need to take strong measures to revitalise private investment, boost growth, and resume Turkey’s regional integration and global trade growth. Governing AKP party regained parliamentary majority in snap elections. European Union struck a deal whereby Turkey restricted flow of migrants into Europe, in return for EUR3 billion and concessions on stalled EU accession talks. 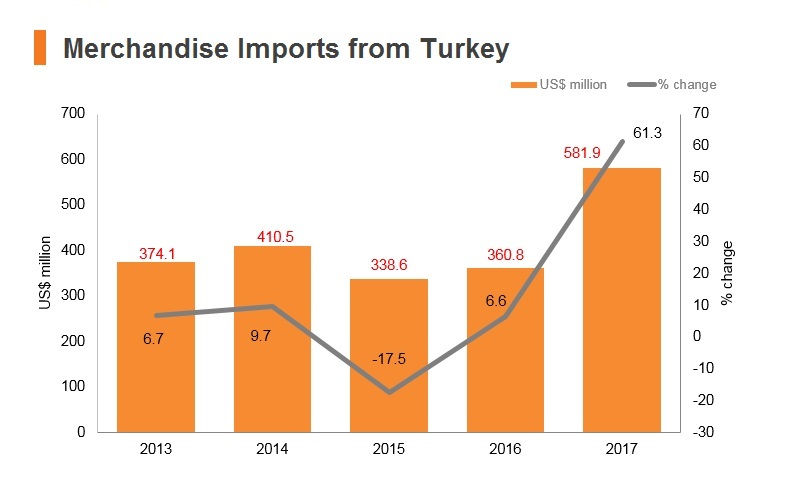 Turkey has significantly liberalised its import regime, especially in the last decade. Any individual or enterprise can freely register to engage in the import business. It is a member of the WTO, and its tariff scheme is based on the Harmonised System (HS) for commodity coding. 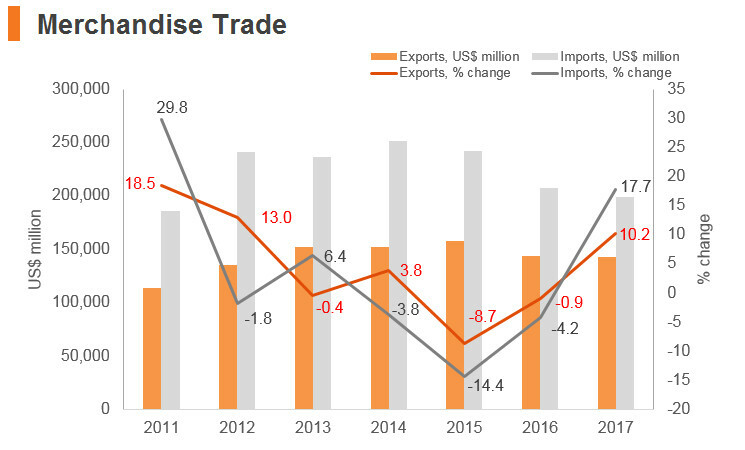 Trade flows in Turkey have been facilitated by the removal of trade barriers and lowering of tariffs alongside membership of a number of FTAs. The EU-Turkey Customs Union came into force in January 1996, under which Turkey and the EU have abolished all customs duties, other surcharges and import quotas levied on most manufactured products from each other. 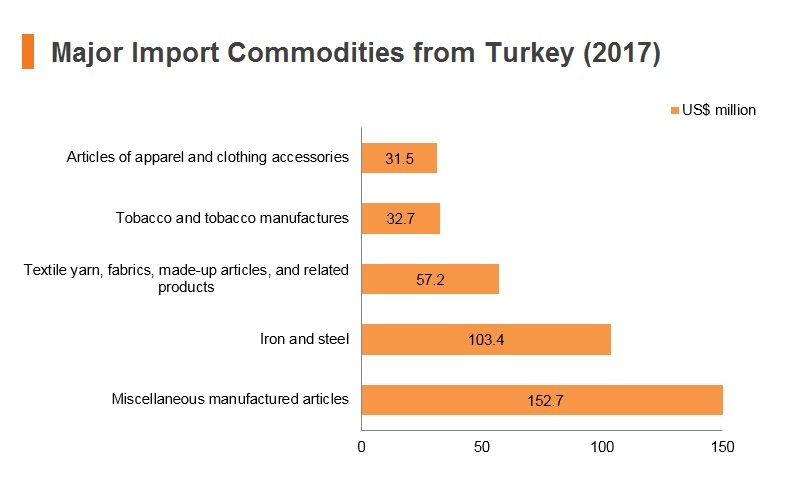 Turkey has also adopted the EU’s Common External Tariffs imposed on imports from third countries and economies. 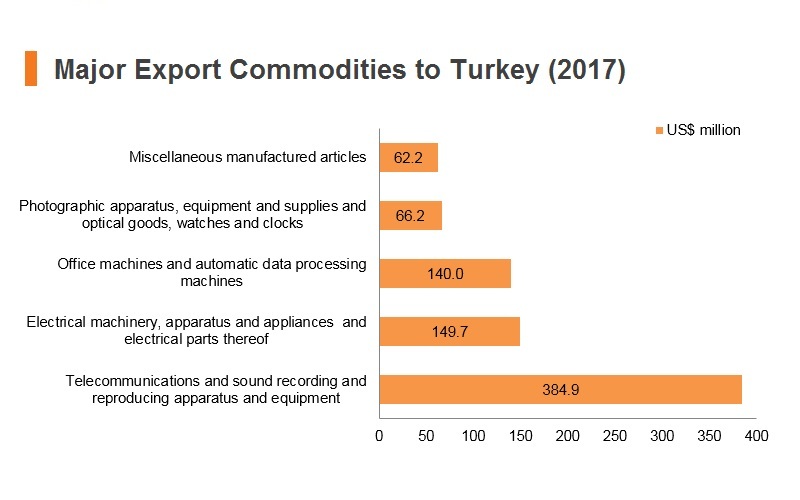 Products imported from sources other than the EU and Turkey can thus move freely, if all import formalities have been complied with customs duties. 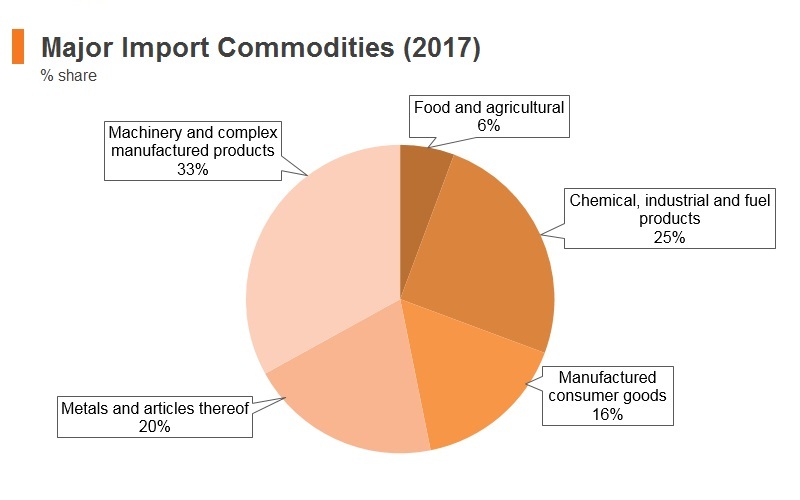 Some industrial products from the least developed and developing countries (including the Chinese mainland) benefit from the EU’s Generalised System of Preferences (GSP). With the creation of the Customs Union between the EU and Turkey, such products are also covered under Turkey’s GSP regime. 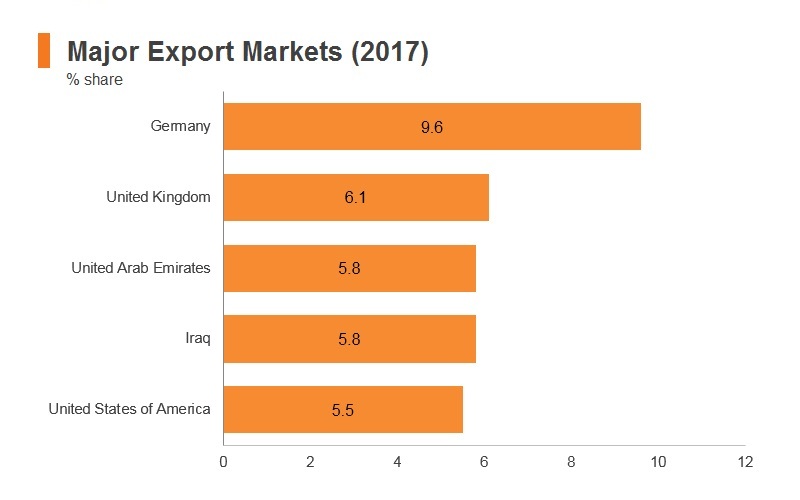 Other states with active FTAs: Macedonia, Bosnia-Herzegovina, Tunisia, Morocco, Albania, Georgia, Montenegro, Serbia, Chile, Jordan, and Mauritius – These countries are not major trade partners of Turkey and, therefore, FTAs offer few benefits. Turkey has its own anti-dumping actions which are separate from those of the EU. To harmonise with the relevant EU directives, the Turkish version of the RoHS directive entered into force in June 2009, while the Turkish version of the WEEE directive was published in the Turkish Official Journal on May 22, 2012 and implemented starting from January 2013 onwards. The Turkish Standards Institution, or TSE, is the product standardisation body of Turkey, responsible for setting product standards and ensuring compliance. Taking electrical and electronic products as an example, while there is a minimum two-year warranty requirement, it is also necessary to obtain technical approval by TSE, and attain the European CE standard certification under the requirements set out by TSE, before the products can be imported and placed onto the Turkish market. As for toys, TSE also imposes a number of safety standards, which in large follow those required by the EU. Therefore, the attainment of CE standards certification can serve as a good reference for fulfilling the TSE requirements. A free trade agreement between South Korea and Turkey will expand to the services sector and investment from the start of August 2018. The latest agreement calls for enhanced protection standard allowing stable corporate investment as well as opening up of cultural service sector such as of Turkey’s movie, performance, and construction areas. Turkey also promised to open up its market by higher level in 18 areas including construction, culture, and environment. Turkey-EU: The EU and Turkey are linked by a Customs Union agreement, which came into force on December 31, 1995. Turkey has been a candidate country to join the European Union since 1999, and is a member of the Euro-Mediterranean partnership. 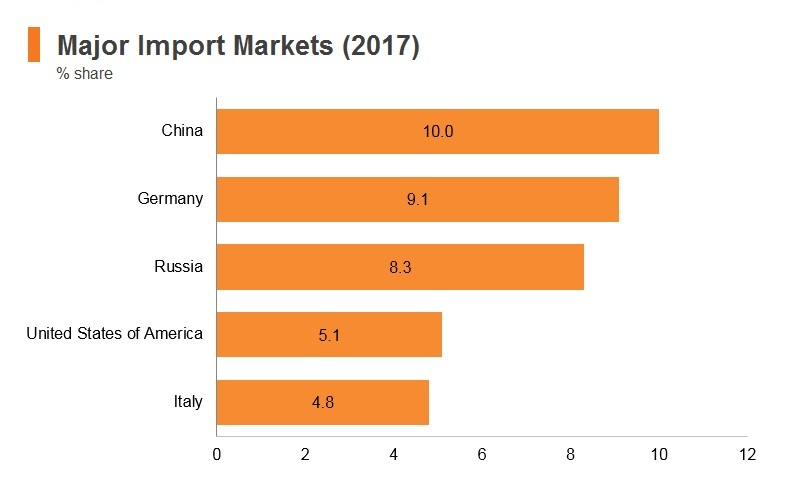 The customs union with the EU provides tariff-free access to the European market, benefiting both exporters and importers; many of Turkey's major trade partners are EU states. 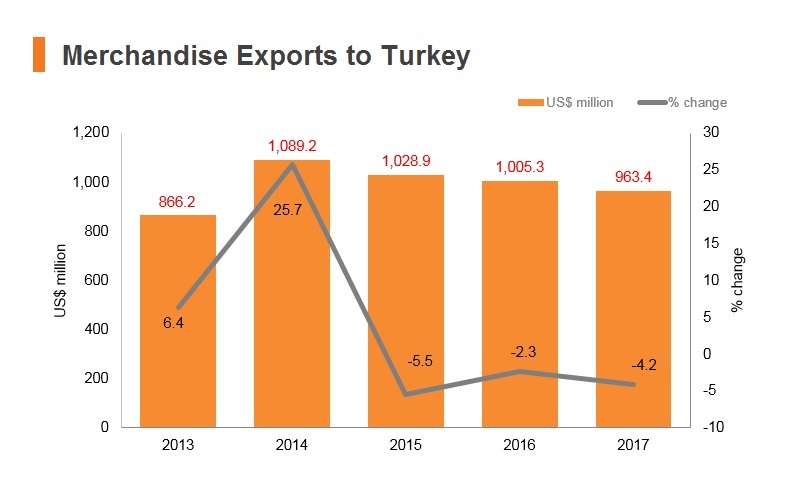 Israel-Turkey FTA: Israel is an important trade partner in the Middle East and there is potential for expansion of trade flows. 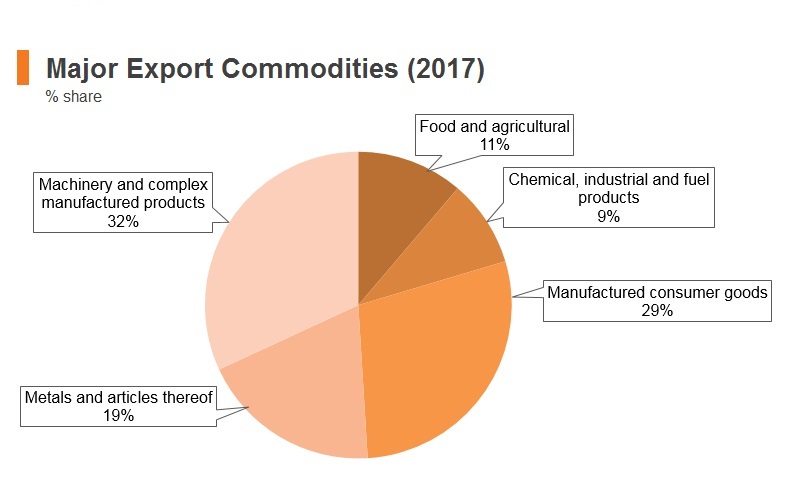 Egypt-Turkey FTA: Egypt is a relatively large export market, particularly for refined fuel. Turkey-South Korea FTA: The expanded FTA will also allow each of the two countries to secure government policy authority – Korea in agriculture industry, energy, and real estate sectors, and Turkey in agriculture and fisheries, mining, and real estate sectors – while modernising Investor State Dispute Settlement (ISDS) to protect Korean companies with stake in Turkey. South Korea is in key source of complex manufactured goods. GCC: Though negotiations have been suspended, tariff-free access to the GCC would reduce costs on energy imports. To encourage investments with the potential to reduce dependency on the importation of intermediate goods vital to the country’s strategic sectors such as agriculture and food, automotive, business services, chemicals, electronics, energy and renewables, financial services, healthcare and pharmaceuticals, ICT, infrastructure, machinery, manufacturing, mining , real estate, tourism and transportation and logistics, the Turkish government has put in place investment incentives including VAT/customs duty exemption and social security premium support. 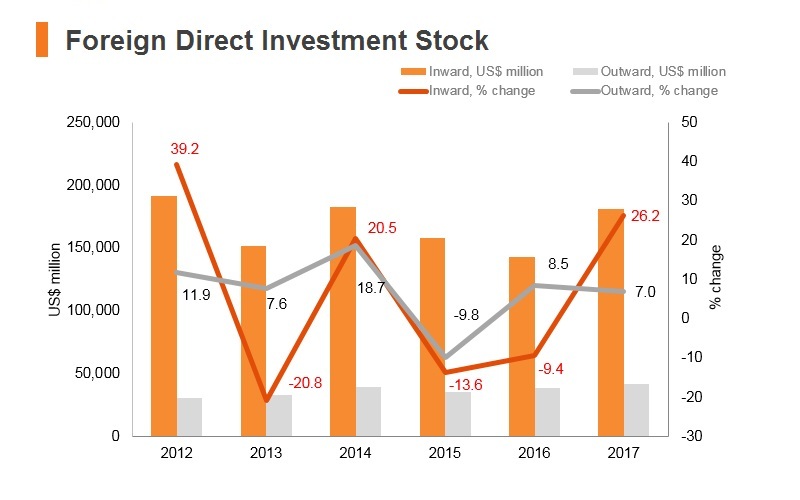 Effective as of January 1, 2012, local and foreign investors have equal access to the new investment incentives system comprised of four different schemes, namely General Investment Incentives Scheme, Regional Investment Incentives Scheme, Large-Scale Investment Incentives Scheme and Strategic Investment Incentives Scheme. More information on the investment environment and the relevant regulations can be found at the Investment Support and Promotion Agency of Turkey (ISPAT). Of greater interest to prospective investors, however, is the generous and wide-ranging incentive programme and suite of free zones which offer numerous fiscal benefits, funding support and logistical advantages to new projects. The current incentive system was established in 2012 and updated in 2015, and aims to encourage investment in strategic sectors, high value-add industries and underdeveloped regions. The programme is, therefore, divided into five different schemes which offer a varying range of benefits depending on the sector, location and amount of investment: the General Investment Incentive Scheme, the Regional Investment Incentive Scheme, the Large Scale Investment Scheme, the Priority Investment Incentive Scheme, and the Strategic Investment Incentive Scheme. Public procurement preference – A number of provisions may be applied to government tenders which are detrimental to foreign investors, including restrictions on bids by foreign companies, the potential to offer price advantages of up to 15% for domestic bidders, a requirement to accept only lowest-cost bids, and the use of model contracts which leave little room for flexibility and specialisation. 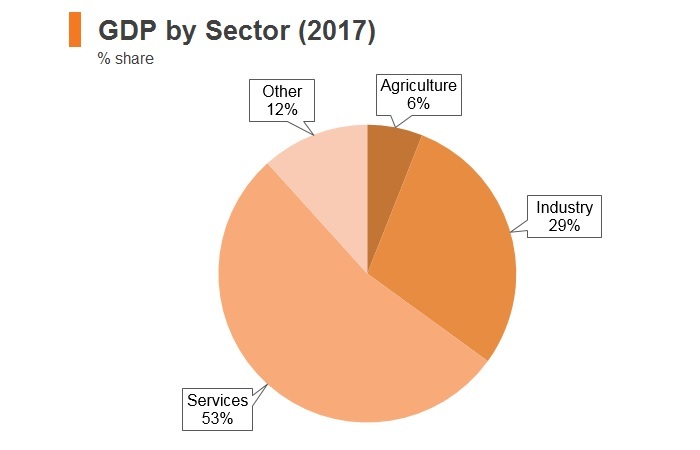 Foreign ownership restrictions – There are few remaining regulatory restrictions on foreign investment, though equity participation is generally restricted to 50% in broadcasting and 49% in port operation and the aviation and maritime transportation sectors. A number of provisions may be applied to government tenders including restrictions on bids by foreign companies, the potential to offer price advantages of up to 15% for domestic bidders, a requirement to accept only lowest-cost bids, and the use of model contracts which leave little room for flexibility and specialisation. The Council of Ministers published a decree amending the Decree No. 32 on the Protection of the Value of the Turkish Currency (Decree No. 32) in the Official Gazette No. 30312 on January 25, 2018. The amendments providing restrictions on foreign exchange loans entered into force on May 2, 2018.Prior to the amendments, real person Turkish residents were not entitled to utilise foreign-currency denominated loans from abroad. With the amendments, Turkish residents that do not have foreign exchange income will no longer be able to utilise foreign-currency denominated loans from abroad, save for certain exceptions. The Turkish government announced a series of measures aimed at increasing tax revenues in September 2017.The Omnibus Bill that was passed on December 5, 2017 includes important amendments to the corporate income tax (CIT) Law. The Omnibus Bill numbered 7061 increased the CIT rate from 20% to 22% for 2018, 2019 and 2020. The increase also applies to the advance tax filings to be made in respect of the concerned years. For companies with a special accounting period, the increased rate will apply in the tax years starting in 2018, 2019 and 2020. It must be highlighted that the Finance Minister has recently announced that the rate may be reduced soon within 2018 as one of the steps of fiscal tightening policy. According to the Law, the regulation shall enter into force and be applied on earnings that should be stated in CIT returns to be submitted after January 1, 2018. New machine and equipment deliveries to those: in the manufacturing industry exclusively for taxpayers who possess an Industrial Registry Certificate, and located in technology development zones, specialised technology development zones, research and development (R&D) and design centres, and research laboratories with the activities in R&D, innovation, and design, to be used exclusively for these activities, have been exempted from VAT until December 31, 2019. This exemption is a full exemption. Taxes burdened due to deliveries within the scope of exemption will be refunded if it cannot be deducted. Social security premiums for both the employer and the employee total 34.5% of an employee’s salary; 14% for the employee and 20.5% for the employer. In addition to social security payments, unemployment contribution is 3% of the salary, 1% for the employee and 2% for the employer. Visitors from many European, Middle Eastern and South American countries may visit Turkey visa-free for up to 90 days. Visitors from other countries (including the US, China and the UK) may obtain visas for tourism or business purposes via the Electronic Visa Application System. This system, which was launched in 2013, allows visitors from some countries to obtain an e-Visa online, which streamlines the process for foreign business travellers needing to visit Turkey. 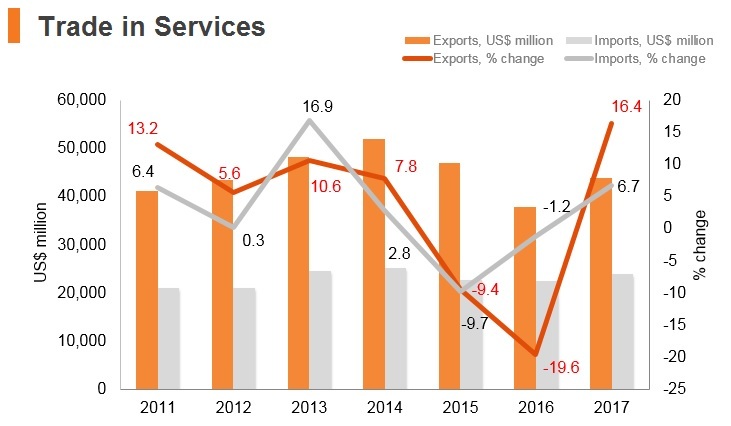 E-visas cost between USD15-80 depending on the country of origin, while visas obtained on arrival cost between USD25-70 but are generally more expensive. 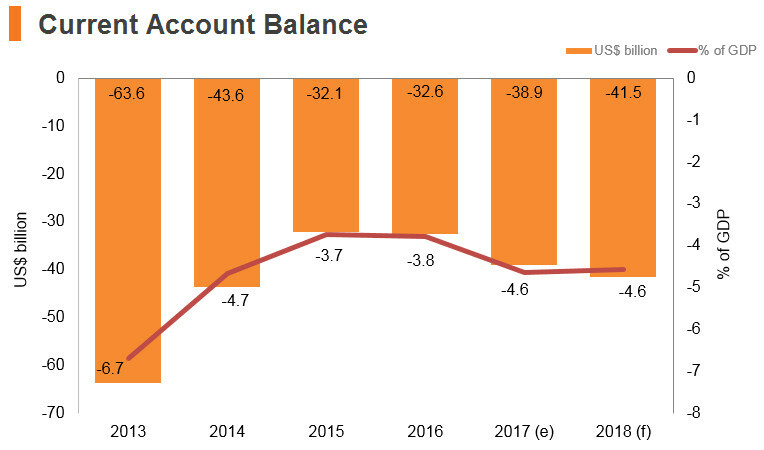 Turkey's need to reduce its reliance on foreign capital, narrow external deficits and rebalance away from private consumption towards more domestic saving and investment will necessitate a period of slower trend growth. 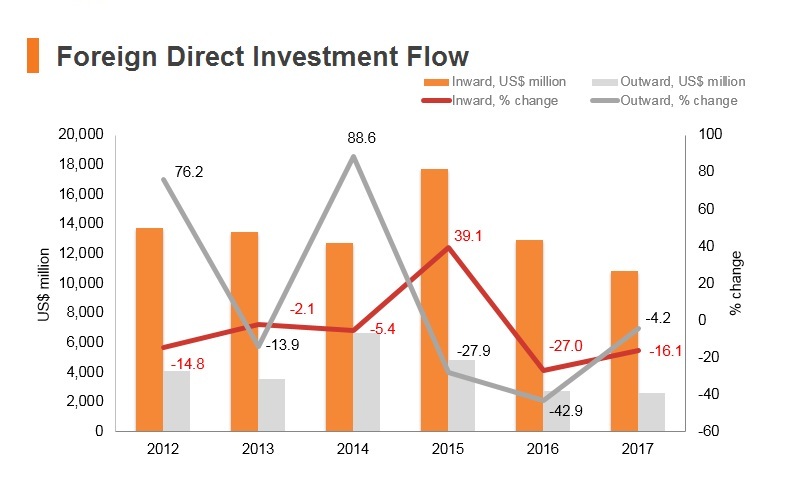 Risks of a sharp slowdown in headline growth remains high if there was to be a deterioration in the global macroeconomic outlook for emerging markets, which would see investor confidence suffer and capital inflows dry up. 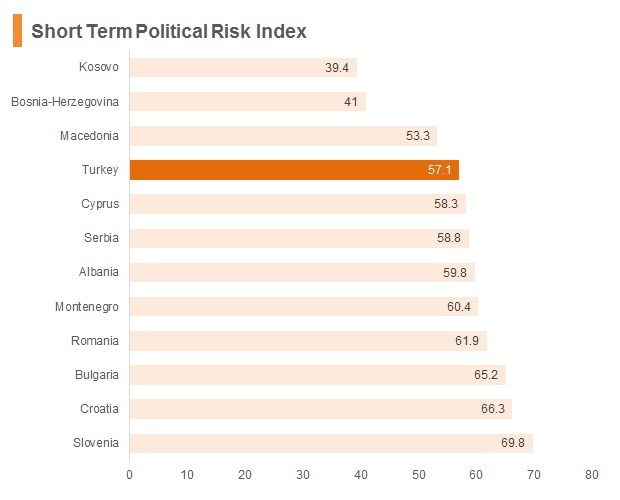 Though Turkey continues to offer considerable investment potential, particularly due to its large labour force and open trade policies, investor sentiment towards the country will remain dampened over the medium term. 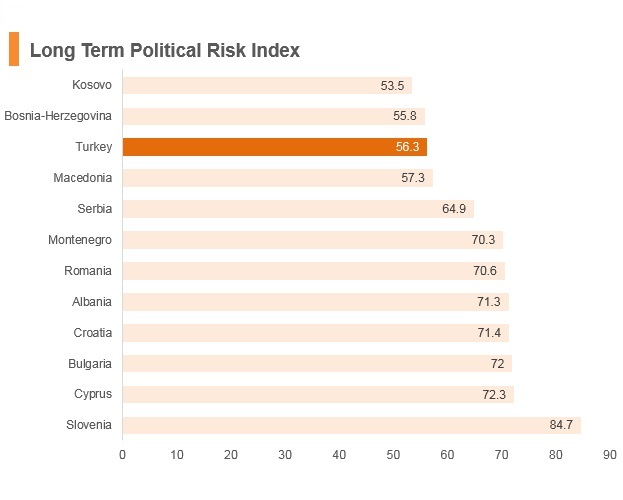 The external environment remains uncertain and the civil war in neighbouring Syria has exerted a considerable influence over Turkish policymaking and gradually dragged the country into greater involvement, leading to an uptick in terrorist attacks, a huge influx of refugees and fractious relations with international powers also involved in the conflict.